Edward plays a key role in shaping the strategic product roadmap and is responsible for product go-to-market, including pricing and licensing. Previously, Edward led engineering for Oracle Sales Online where he developed patented query optimization techniques. At McKinsey, Edward led client engagements with business technology organizations of Fortune 500 companies. Most recently Edward was Sr. Director of Product Marketing at VMware, responsible for products like vSphere, vSphere Storage Appliance, and vCloud Suite. 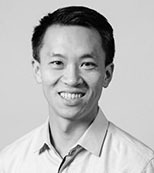 Edward has Master's and Bachelor's degrees in Electrical Engineering and Computer Science from MIT, and an MBA from NYU Stern School of Business.